Multi–award winning African-American music star, Akon, has been unveiled as host of the 4th annual All Africa Music Awards (AFRIMA) scheduled to hold on Sunday, November 12, 2017 at the Eko Convention Centre of the Eko Hotels and Suites, Victoria Island, Lagos, Nigeria. According to a statement by the African Union Commission and the International Committee of AFRIMA, the Senegal-born superstar will handle the event proceedings of the live broadcast award show, with support from the co-host, Ms. Sophy Aiida, a Cameroonian-French entertainment broadcaster. With a track record of outstanding success in the global music industry that has brought immense recognition to Africa’s creative energy and originality, Akon, a multi-Grammy award winning singer, songwriter, record producer and actor, has put his name in the Guinness Book of World Record as the number one selling artiste for master ringtones in the world. Ranked the fifth most powerful celebrity in Forbes’s Africa list of 40, Akon is also a business man and philanthropist who is passionate about the African continent. He provides electricity for 15 African countries through his “Light Africa Project” and supports underprivileged African youngsters through his Konfidence Initiative. He runs music labels, Konvict Music and Kon Live Republic successfully. 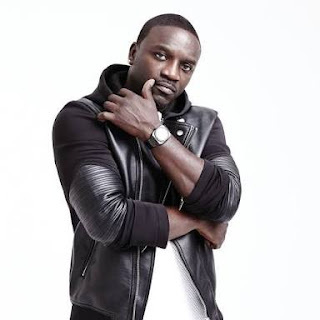 Akon will handle the event proceedings of the live broadcast award show, with support from the co-host, Ms. Sophy Aiida, a Cameroonian-French entertainment broadcaster. 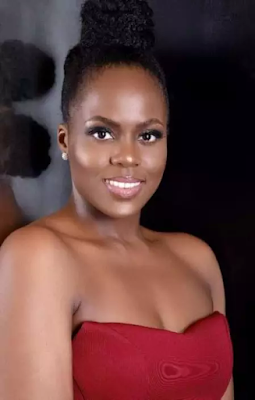 Co-host Sophy Aiida is a prolific broadcaster who is known on radio as Cameroon’s biggest-girl-next-door. Sophy was born in Paris, movement to New York where she spent 15 years before returning to Cameroon to contribute to her homeland. The multilingual and multi-talented woman is regarded as one of Central Africa’s biggest show host. Sophy has also acted in rave African French-speaking movies and has also dropped a debut single. Sophy Aiida is the co-founder of the Nakande Project, an initiative that supports the emergence of great young women through its education, empowerment and mentorship programmes. She has hosted various annuals show and events in Africa. Meanwhile, Africans on the continent and in the diaspora are in eager anticipation for the AFRIMA 2017 main awards ceremony and the AFRIMA Music Village scheduled to hold on Friday, November 10. The Music Village is an evening of non-stop open music festival of live performances from African stars and nominees, with an audience of 40,000 people. It will also be broadcast live and produced by a prominent experiential marketing/production agency in Africa, Backstage Pro. The annual All Africa Music Awards in partnership with the African Union Commission, is a celebration of Africa by rewarding the creativity and originality of African artistes and songwriters with the resplendent 23.9 carat gold-plated AFRIMA trophy. The 2017 Main Awards Ceremony, in association with Lagos State of Nigeria, the Official Host City, will be a colourful, performance-packed event graced by music stars, industry legends, captains of industries, diplomats, government officials, music lovers across the continent. The event will be broadcast live across 84 countries in Africa.